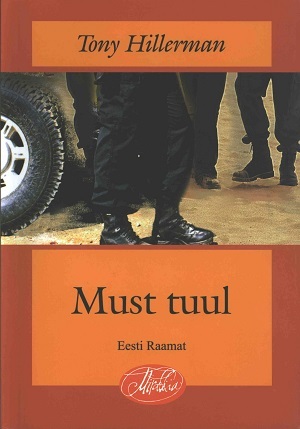 This is the 2007 Estonian edition of The Dark Wind, published by Eesti Ramat in Tallinn, Estonia. The text was translated by Malle Klaassen. The cover was designed by Sigrid Pavel and Katrin Kaev. Format: Paperback, 19.9 x 13.9 cm. Binding: Paper covers with full color cover. The author, title and publisher's logo are printed vertically on the spine in white.